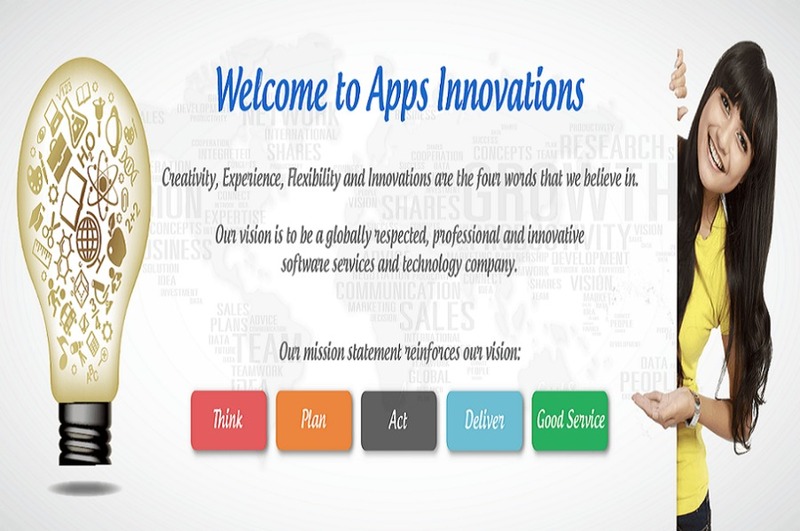 Apps Innovations Services is an interface agency which has comprehensive portfolio of services for mobile application development, web development, graphics design, proprietary software development and internet marketing. The company, aims to apply unique methodologies for nurturing and promoting innovation led market by providing affordable & customized software solutions for all business types, from small businesses to big corporations and mentoring support too, with a vision to stimulate, foster and enhance the strategic research and innovation capabilities of the Indian software industry, for creation of sustainable & affordable end products addressing the needs of the largest section of society. We assist individual requirements to ensure that we are providing with the best solution for your business needs. The Core function is to provide support for discovery technologies, product development/ translational stages and for technology diffusion across different sectors. We have both horizontal (cross cutting inter disciplinary groups (like website development, mobile application, graphics design) and vertical (address the different stages of software product development,) which focusses on a particular product and see it through from discovery to diffusion stage) teams to fulfill the mission. We trigger, transform and tend to convert innovative research in into viable and competitive end products and enterprises. Because of our quality services, we are growing fast in the market day by day and we aim to become the top choice as web design, mobile applications and internet marketing consultants across the industries. Take a virtual tour of our website to know more about us. Please feel free to contact us. Drop a mail at info@appsinnovations.co it will be our pleasure to talk to you.